When it comes to picking out some workout clothes, you’ll probably spend more time (and money) on the shoes than any other part of the outfit. Investing in a suitable pair of shoes isn’t just a fashion statement – it’ll actually provide a functional difference to your workout routine. That’s not to say that ‘suitable’ means ‘expensive’, though. With some insider opinions from the experts at Donaghys, we’ve been able to bring you this list of 5 things you should look for in a running shoe. Shoes don’t last forever, and runners will wear down their footwear at a much faster rate than the manufacturers might have predicted. It’s best to buy something that’ll last, even if it costs more money up-front: if you spend enough time looking around and checking reviews, you might even find a brand or deal that’s cheaper and higher-quality! If you’re caught in a pinch and can’t afford to pick out a new pair, try to go for shoes that you could repair with shoe glue or polish – even if it only lasts another week at most, you’ll have some time to save for new ones. Arch shape is almost as important as size when it comes to choosing a shoe, especially if it’s going to be used for regular running. If your feet are flat, you’ll need extra support near the midsole to angle your feet properly, whereas high-arched feet will need extra cushioning to make running comfortable. This can apply to your instep, too – shoes that have low ‘ceilings’ can feel tight around your upper foot if your instep is too high. The outsole is arguably the most important part of any shoe: choosing the wrong one could make it nearly difficult to exercise in certain ways or places. 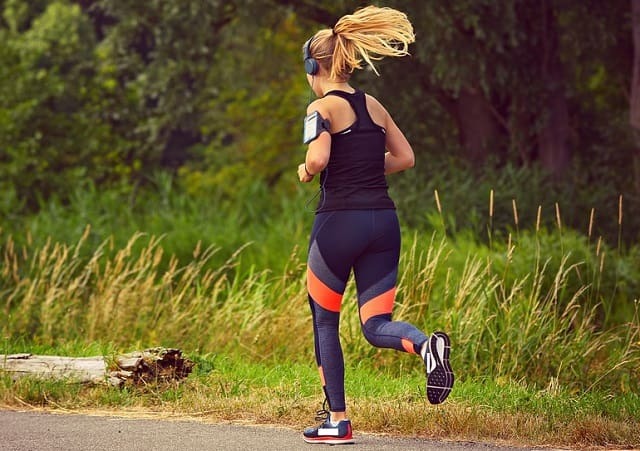 EVA soles, one of the most common in the world, have a very low life expectancy for dedicated runners, whereas TRP sacrifices softness and comfort for a much lower chance of slipping over. The actual design of the sole matters, too. Cleated running shoes and trainers can be rare, but some – such as those made by the Remonte shoes brand – build them into the sole itself rather than having football-style spikes, making them good for any terrain. Weather is a big factor in the kind of shoes you should wear, especially if you’re hoping to stick to a schedule even if it’s pouring with rain or snowing heavily. Water-resistant shoes can be useful almost anywhere, even if you’re only running through puddles or next to the sea, but heat-resistant and breathable shoes can help keep your feet cool during warmer weather or heatwaves. It might seem obvious, but shoe size makes a huge difference when you’re running. If they’re too loose, your feet will bounce around inside them and create a lot of friction, which can really hurt and put you out of action for a while. Tight shoes, on the other hand, might rub against the back of your ankle and cause scratches or rashes. Remember that the length of your shoe also matters. Your toes shouldn’t be too far away from the front of your shoe, but also shouldn’t actually be touching it – if you leave too much or too little space, you could hurt your feet when you’re running on uneven ground, or just wear out your shoes faster than you normally would if they fit perfectly. I hope you enjoyed this article about things you should look for in a running shoe on a frugal budget. Interested in more articles about frugal fitness gear and running?